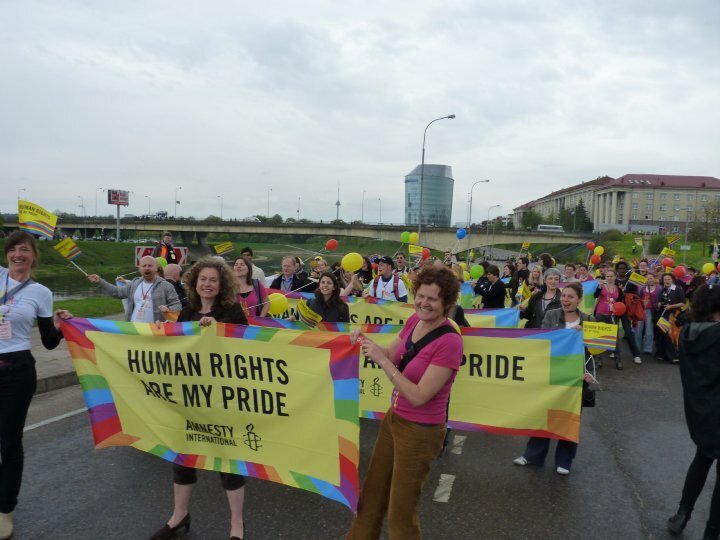 This entry was posted in Uncategorized and tagged Amnesty International UK, Birmingham Pride 2010, Central Birmingham Amnesty International, LGBT Rights, Lithuania, Malawi, Turkey. Bookmark the permalink. We Brits invented Section 28, but it’s a mark of just how much we are a more tolerant society that such legislation is unimaginable here now. This is a great post (and timely!) and it’s sobering to see just how people are victimised around the world just for being themselves and living their lives – I’m proud to be part of Amnesty and stand shoulder to shoulder with each and every one of them!